Friday Photos For The Weekend! 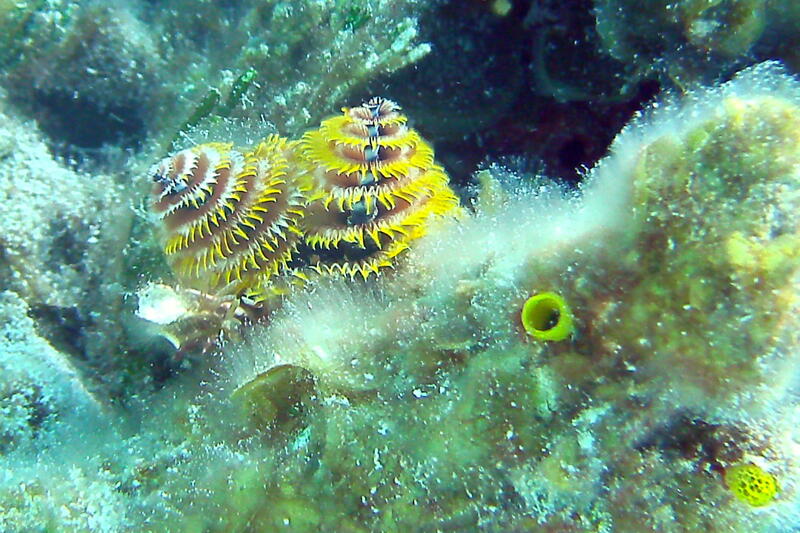 These top two are Christmas Tree Worms. If you get too close to them they disappear by suddenly pulling themselves inside their tubes. I call these gray fish “Happy Fish” because of their smiling mouth. The one below actually bit me on my knuckle. 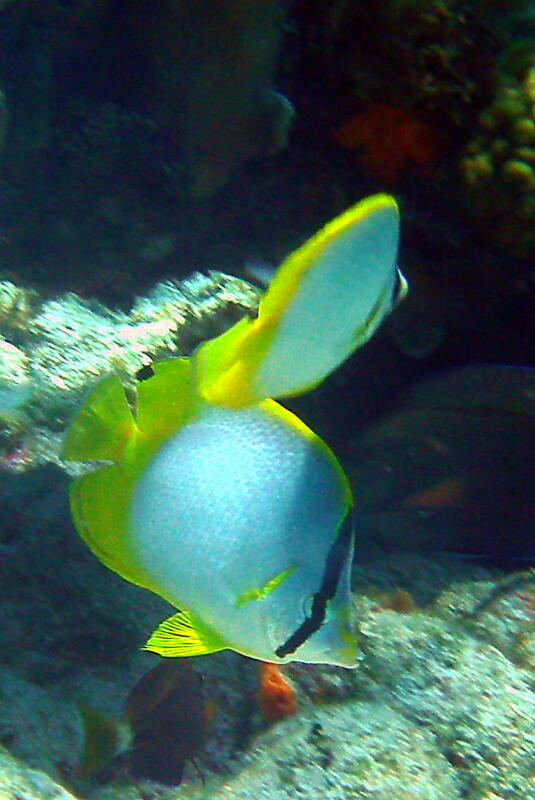 The yellow and black striped ones are called Sargent Majors. 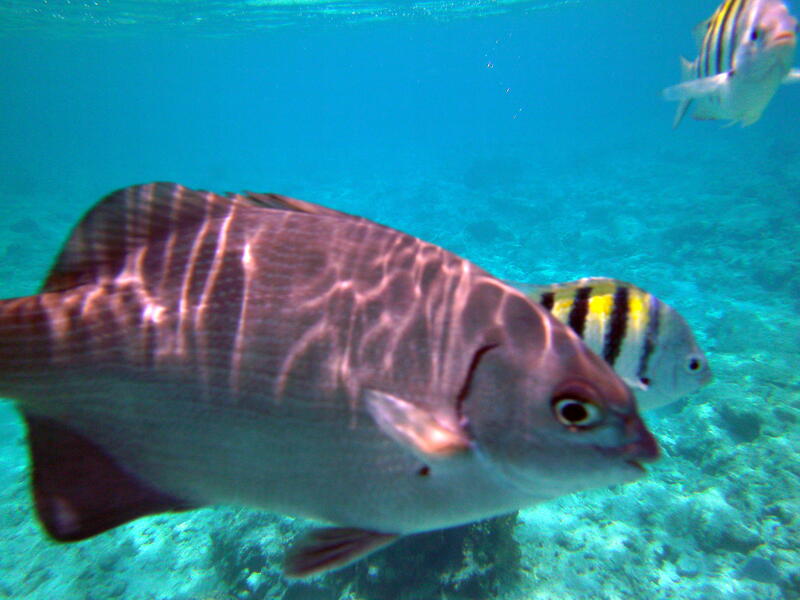 This entry was posted in Beach, Cayman, Snorkeling, Uncategorized by markd60. Bookmark the permalink. 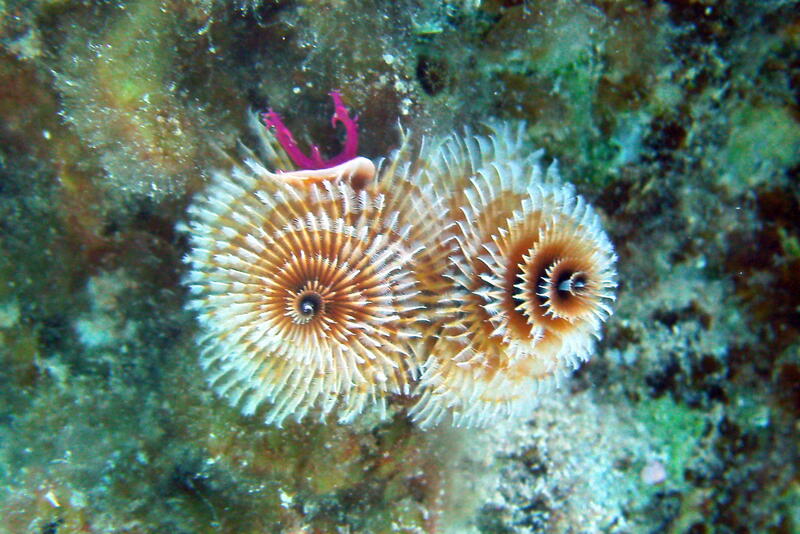 I never heard of such things as Christmas Tree Worms. Now, I know. Fascinating creatures. You don’t like honeycomb!!?? You’re missing out!! But, I do like jellybeans, too. I see you said goodbye to Chrome and got wordpress. Is it better? You know? That is pretty damn exciting that you have that as your back yard….